Want a lasting roof repair in Dothan AL with a warranty? We repair roof leaks and roof damage properly. You won’t find a better roofing repair with a guarantee at a better price. 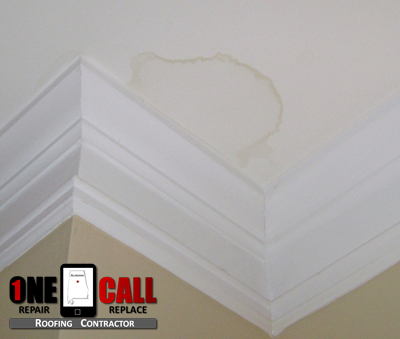 Roof Leaks, Ceiling Stains, Hail Damage, Oh My! Get them fixed now, without the wizard. It doesn’t matter if your roof is old and weathered or brand new; at some point it will need to be repaired. Get professional roof repair in Dothan that is long lasting and very affordable. There’s an old saying that says it’s only an affordable roof repair in Dothan if the workmanship and materials used are the best. We stand on that principle and take it a step further with a written warranty against leaking in the future. By installing quality roofing materials, you can trust it will last. Whether it’s a shingle roof, a metal roof or even a flat roof ( TPO, PVC, ModBit ), we have the skills and experience to make all of the necessary repairs to keep your home or business dry and protected. 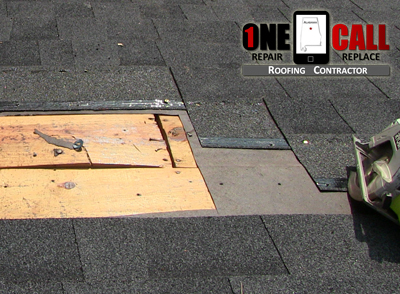 After we perform our free roof inspection, we will put everything in writing on the estimate. No hidden surprises, no gotchas, period. In the unlikely event that your roof is beyond repair, then we may suggest a complete roof replacement. Once you’ve spotted a roof leak or other damage to your roof, the first thing going through your mind is how much money it may cost you to have it repaired. The average cost of roof repair in Dothan, AL, including materials and labor, runs between $200 and $1000. Usually the lower price is for small leak repairs like broken or missing shingles or flashing and the larger expense is for substantial roof damage. That being said, we’ve repaired roofs for under $100 and rebuilt sections of roofs after a tree fall for much more. Either way, can count on us for an honest and informative cost estimate and a roof repair done right. Repairing your roof means more to us than just another job. We care about the entire experience you have from the initial repair inspection to the day we drive away when it all done. Our Google 5 Star reputation, Angie’s List A Rating and BBB A+ Accreditation sets us far apart from almost any other roofers. We provide affordable roof repair in Dothan AL.